Plot Summary: Young Jodie Holmes lives on a military base with her foster parents. Since birth, Jodie has had a psychic connection with a mysterious entity named Aiden, with whom she can communicate and perform telepathic acts, such as possessing people’s’ minds and manipulating certain objects. After an incident with some neighbourhood kids results in Aiden almost killing one of them, Jodie’s foster parents seek help to care for her condition, permanently leaving her under the custody of doctors Nathan Dawkins and Cole Freeman of the United States Department of Paranormal Activity. This is where she trains to learn to control her powers, only to be met with obstacles that open an entirely different world. Beyond: Two Souls is an immersive game that allows the gamer’s decisions to affect the rest of the gameplay. The game’s audio and voice acting are superb, probably because two of the main characters are voiced by seasoned actors: Ellen Page and Willem Dafoe. The storyline, like the voice acting, is impressive and original. Despite its complexity, the plot adds to the immersion instead of detracting. Unlike most games with multiple endings, Beyond: Two Souls gives each gamer a satisfying playthrough. In addition, the game’s graphics are fairly well done, especially when playing the newly released Playstation 4 version. Despite these wonderful characteristics, the game has some fairly noticeable weaknesses. The controls can be a little sensitive and definitely need to be adjusted to your needs. They are unique, but a little difficult to get used to, especially for new gamers. 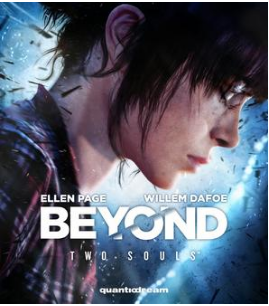 Beyond: Two Souls is for gamers out there who can handle slightly complex storylines and time jumping. If that isn’t your style, you should look elsewhere for your next game. However, there is a way to play the game in chronological order using the Playstation 4 version. As long as you enjoy an intricate storyline, this game could offer you a great experience! Which skill do you wish you possessed?